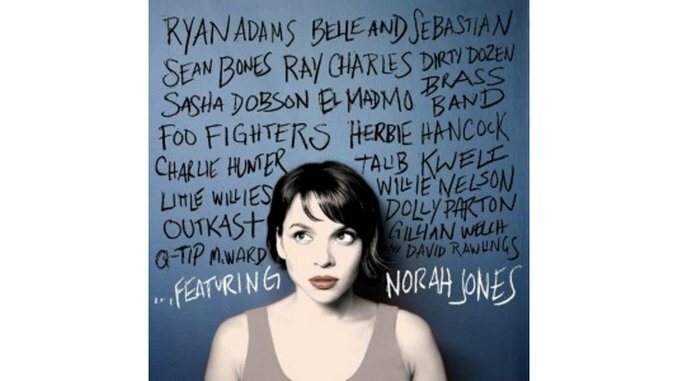 Norah Jones’ breezy vocals and jazzy style that recalls the heyday of the Great American Songbook have linked her with 2000s MOR pop. For some listeners, she’s a breath of fresh air; for others, she represents all that’s dull and overly tasteful in music. While she could have gotten by singing unobtrusive jazz tunes for your next dinner party, in fact Jones has proved to be a lot more musically curious than she gets credit for and has shown up in some odd places over the years, working with unlikely collaborators and indulging an array of styles. Jones may actually be one of the most eclectic artists around, although her low-key persona undersells her range and accomplishments. So it’s fitting that instead of a greatest hits or a live album, she has taken a different tack with …Featuring, which collects some of her collaborations in country, jazz, folk, rock, even hip-hop. Singing with El Madmo or sampled by Talib Kweli, she doesn’t sit comfortably or confidently in every style, but even the less successful forays serve to bust through genre boundaries. The burble of organ on “Turn Them,” a duet with Sean Bones, may be the album’s finest sonic hook, a sound that subtly mimics her mellifluous vocals. Few mainstream artists adapt so well to those rhythms, but Jones sells it effortlessly. Her languid vocals provide an intriguing foil to Q-Tip’s abrupt flow on “Soon the New Day,” as she subtly adds R&B flourishes to her phrasing. “Take Off Your Cool” sounded incidental on Andre 3000’s messy The Love Below, but in this new context, it takes on new life and weight. She’s surprising adaptable to hip-hop, and surely there’s a record with the Roots in her future. Still, it’s a pleasure to hear Jones mix it up with Dolly Parton, Ryan Adams, and Gillian Welch, who tease her out of her comfort zone and draw out some of her best performances. That gives …Featuring the arc of a particularly persuasive career overview, as if Jones is taking stock, measuring up her experiments, and hinting at new directions in the future.